coordinated by Partner Andrei Albulescu. 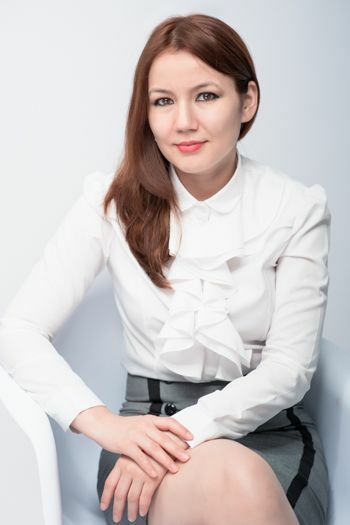 Before joining SAA team, Sevinci was a litigator for 6 years, when she represented various clients in front of the courts, from natural persons to national and international companies, whom she assisted in employment, public procurement, civil law cases (especially commercial matters), insolvency and family law. She began practising law as a trainee lawyer within law firm specialised in IP and became a Member of the Bar in 2011. During this period she was in contact with famous lawyers of well known brands. Later she collaborated with small law offices and a law firm specialised in employment and public procurement, when she pleaded in front of the first instances, tribunals and courts of appeal from Bucharest and from across the country. A Greek company, known on the Romanian market as olives distributor and in a commercial case with its partner, an olive producer from Greece. One of the largest companies in the hazardous and non-hazardous waste collection industry in Romania, in countless complaints, public procurement actions. Once joining SAA Sevinci accepted the challenge to make the change from a litigator to a consultancy lawyer. Using her experience as a litigator, Sevinci provided legal advice in employment and public procurement matters under the close coordination of a lawyer with more than 10 years of experience and the SAA partner in these areas of practice. Assisted Flame Romania SRL, the local subsidiary of JacTravel, a turism company which commercialises globally the business to business offfers, with conducting disciplinary actions, and various employment issues. Assisted Romanian Business Consult SRL, a local Romanian company with over 25 years of presence on the IT solutions market in the retail and food industry, with drafting addendum to the employment agreement for company personnel, including the drafting of the documents in an employment court case with an employees. Assisted PJ Interactive Romania, a subsidiary of the Brand Path Group, a leading global IT & E-commerce service provider, in providing various legal services, from preparing a standard form for individual employment agreements to offering consultancy services with regard to the transfer of employees from PJ Interactive Romania SRL to another company within the Group as a result of group restructuring. We advised the client on the rights of the transferred employees and with the procedures and preparations for the completion of the transfer. Advised a local subsidiary of an international pharmaceuticals company on the restructuring of their activities in Romania, followed by the closure of their economic activities and of existing employment agreements and on the preparation of procedures and steps to be followed. Assisted a French furniture design and manufacturing company with the closure of activities carried out by its local subsidiary, which operates a furniture factory in Romania. Assisted one of the biggest companies in the pharmaceuticals field in revieweing the employee handbook. Assisted one of the biggest companies in the water distribution from Romania in various employment matters such as revieweing the employee handbook, drafting a due diligence on health and labour safety issues. Assisted continuously World Class Romania SA, the local leader in the wellness industry with over 300 employees and service providers in countless consumer protection and employment matters. Assisted a large bus manufacturer in Europe with various inquiries regarding the public procurement procedures in Romania. Drafted legal opinions for a law firm from Hungary on the public procurement procedures in Romania. We acted on behalf of a local Romanian company with over 25 years presence on the IT solutions market in retail and food industry on the settlement of a dispute with an important employee. Also, we provided review and advice on the implementation of the employees’ handbook and the professional evaluation procedure, including proposed key performance indicators (KPIs) of the employees.